We’ve slowly been programed as humans to want results as quickly as possible. If we’re hungry, we go to a fast food joint. If we have a question, we use are smartphones to Google it. Americans live in an age where patience isn’t very common and many people try to take the easiest way possible. It’s no different when it comes to weight loss. One of the most searched terms on Google has to do with fast weight loss. Usually someone is unhappy with how they look or feel and immediately wants to change it. This might work well for some things but can be outright dangerous for your health when it comes to losing weight. Despite having an incredibly high percentage of obesity, America is obsessed with image. The media has given the vast majority of the population a skewed view of what beauty is. Women more than anyone are affected by this when it comes to media and images of “perfection” pushed on us. The pressure to be thin, have specific type of curvy shape or to fit into a certain dress size, is often the driving force in losing weight. This is where things take a bad turn. When aesthetics are the main reasoning for losing weight, the health aspect of it is overlooked. Others might even think that being smaller = being healthy so therefore getting the pounds off as quickly as possible is in their best interest. This mindset is further promoted by the products manufacturers push towards consumers. Diet Pills: We’ve all seen the commercials and ads for certain diet pills that promise quick weight loss. Not only do these pills rarely work as well as they do for the people they use in ads, you will often end up relying on them for a continued amount of time weight loss. Even after losing weight on prescription pills, many users gain back the weight when they stop taking them. Fat-Burning Supplements: These supplements fall into the same category of diet pills but may come in a powered form instead. They are equally dangerous and the effects may be short lived if you don’t change your eating habits and lifestyle. Unhealthy Cleanses: Over the past few years a cleansing fad has once again become popular. These cleanses, often lasting a long time and involving only a liquid diet, are toted as being a detoxifier for your body. While there might be truth to that, there is no doubt that cleanses which last days or weeks can cause you to lose weight too quickly. The best cleanses are those that put an emphasis on eating whole, fiber rich foods for a limited amount of time (less than 14 days). No powders or pills needed. Low Calorie Diets: Low calorie diets are exactly what you’d assume. Many are 1000-500 calories a day. These diets often include heavy liquids, sometimes drops and not much solid food. 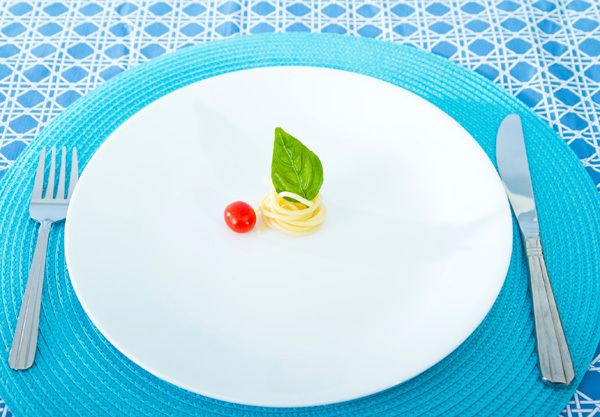 So-called starvation diets have been around for a long time and you’d assume people would know they aren’t healthy, but alas, they promise fast weight loss so they are still popular. The main issue: You can’t eat this way permanently and when you eventually add the calories back in, it’s very hard to keep the weight from coming back. There are other options that causes unhealthy quick weight loss to be aware of but there are too many to name. If you ever come across a diet, supplement or program that promises quick weight loss without a change in diet or exercise, use caution. That promise is one the biggest red flags to look out for. There are many potential dangers of losing weight quickly. Here are just a few serious ones. Osteoporosis doesn’t just occur in elderly people. Quick weight loss due to an unhealthy diet will zap your body of the vitamin D and calcium it needs to keep your skeletal system strong. The scary thing about this condition is that it doesn’t often show symptoms until something goes wrong, like a broken bone. Due to this, many people who think they are healthy from dropping weight fast will never know they’ve permanently damaged their bodies unless they have a bone density test. There are a number of other nutrients that you can be lacking of on fad diets, so this is just one example. Heart disease is the number one killer of Americans. Hundreds of thousands of people have heart conditions that lead to heart attack and stroke every year. Protecting your heart’s health should be a priority. Rapid weight loss stresses your heart, even if you are losing a lot of fat. The heart is a muscle which needs to adjust to a changing body and often heart issues occur when people lose weight too quickly. Blood pressure will change and you can develop heart arrhythmia or palpitations. These problems can lead to outright heart failure. Aside from skeletal fragility and heart problems, severe weight loss causes other health problems that might seem insignificant but eventually add up to spell trouble. A common effect of rapid weight loss is dehydration. Dehydration can cause a myriad of health issues like migraines, constipation and dizziness. It also causes gallstones to form. Malnutrition causes overall imbalances in your body, such as your electrolytes, which aggravate other health problems. Malnutrition also causes fatigue, muscle loss, missed menstrual cycles and possibly mental issues like depression, anger, sadness, etc as your body goes into survival mode. Not many people realize that quick weight loss doesn’t just destroy fat, it destroys muscle. This happens when the body is deprived of a healthy diet. It turn survival mode on and in an effort to stay alive your body will break down your muscle and eventually your organs. Protein is important in any diet and not consuming a recommended percentage is dangerous. When this muscle is destroyed it’s nearly impossible to get back. Often after severe weight loss the weight gained back will be in fat, not muscle, since the body will want to build up its fat stores for survival. The harsh truth about dangerously rapid weight loss is that it isn’t a permanent solution. Healthy weight loss in of itself is difficult to maintain. Starving yourself or using the newest diet pill may cause you to lose weight more quickly but you’re probably going to stop whatever regimen you’re following. This is especially true when it comes to diets. Studies have shown time and time again that dieters put on a very restrictive diet generally end up giving up, bingeing and regaining the lost weight. Often times gaining more weight than they lost in the first place. There is nothing wrong with losing weight if you are overweight or just want to lose 5-10 pounds. For many, weight loss helps prevent disease, you’ll feel happy and lead a longer life. This is only true if you following a safe weight loss regimen. Generally losing 1-3 lbs per week is what most doctors deem safe (depending on how overweight you are and your overall health). More than this is usually normal in the beginning, especially if you’re losing water weight, but if it’s prolonged you might have a problem with your diet. While instant gratification is a wonderful thing, it just isn’t possibly when it comes to your health. Take your time, consult with your doctor (and a dietician or nutrition expert if you can) before drastically changing your eating habits or getting started on a serious workout plan. Your body will thank you. Very informative article took away some myth I had about losing weight.